"Milss L" is another Wigglebug Baby Planner baby. She was in the studio for her "Heads up" Milestone session. This session takes place between 3 and 5 months when the baby can hold her head up without assistance. This milestone is so much fun. Babis change so much in these first three months. 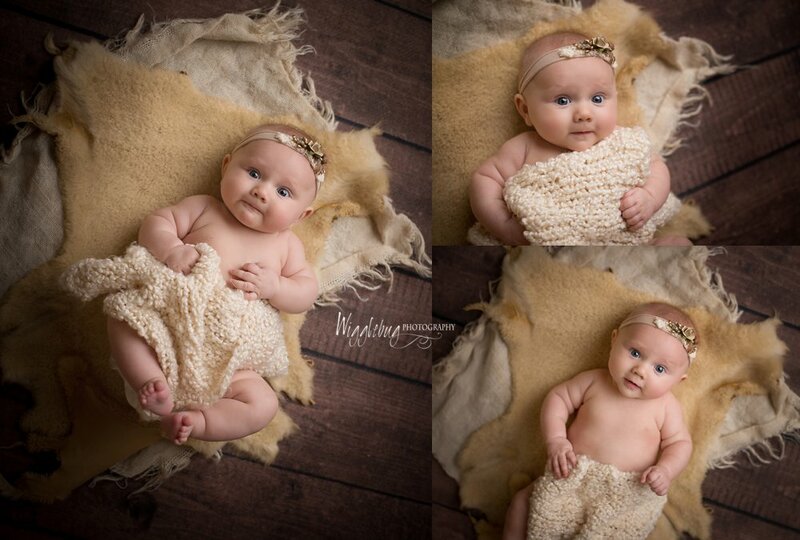 When little ones come to the studio for newborn photos they are so tiny, sleepy, and snuggly! At 4 months they are Wigglebugs!! They are rolling and squirming all over the place. Miss L was laughing at me and kicking. We captured some adorable moments. 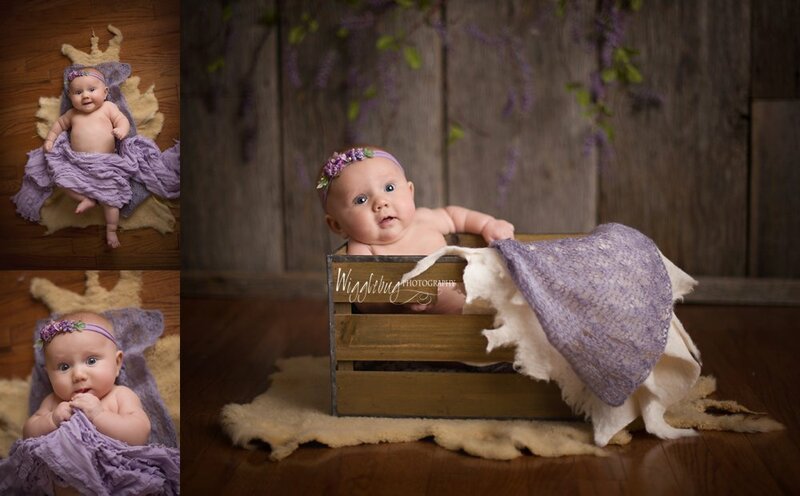 We used lavender in this session in keeping with the colors and them we used at her newborn session. I love using the same props in all four milestone sessions so parents can see how much their baby has grown in comparison to the props. This session was shot in the indoor studio at Wigglebug Photography. We have a selection of props and backdrops for our clients. Miss L's mom loves lavender so we use a little in each session but, we add other colors for variety as well. What a sweetheart! Enjoy these photos from our time together. 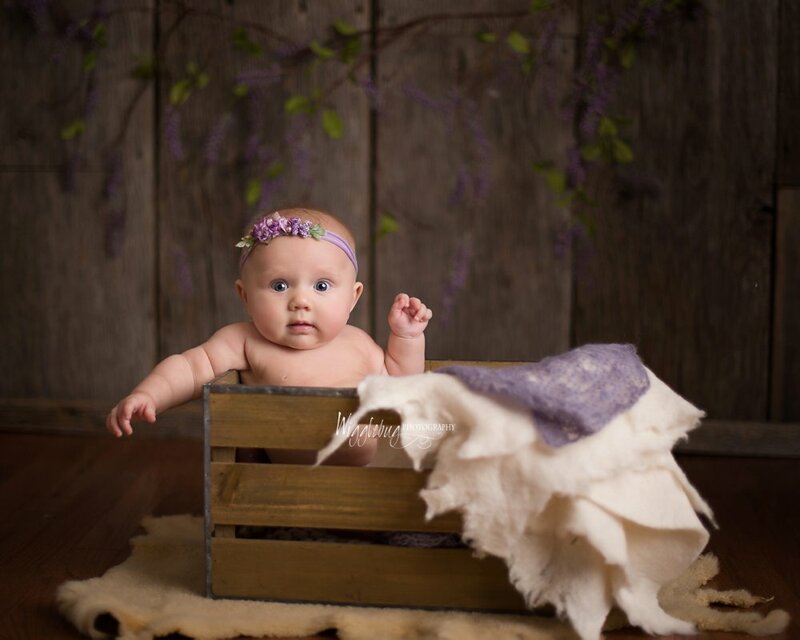 Wigglebug Photography is an award winning professional photo studio located in the DeKalb, Sycamore, IL area in Northern IL. 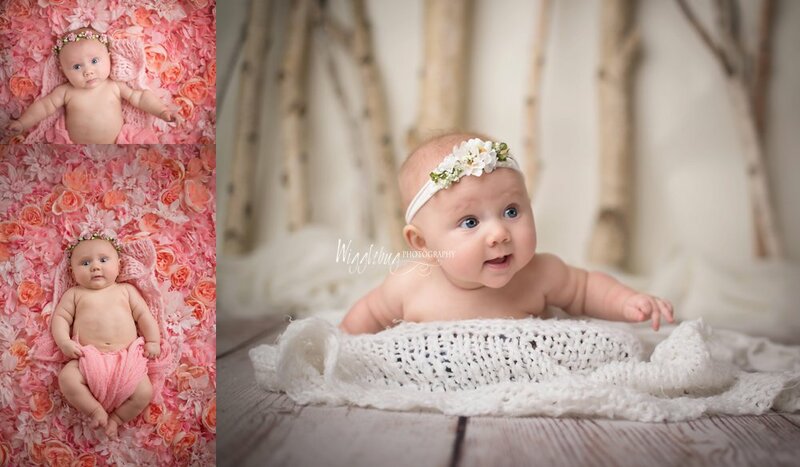 Tricia Schumacher, the owner of Wigglebug Photography, is the premiere newborn photographer in the Northern IL area specializing in artistic maternity, newborn, children, and family photography. As a professional photographer Tricia captures maternity, newborns, children, family, and senior portraits in her indoor and outdoor studio space near DeKalb, Sycamore, IL. Clients travel from Rockford, Sugar Grove, Genoa, Geneva, Rochelle, Sycamore, Roselle, Elk Grove, and the entire Northern IL area to visit the Wigglebug studio.